Elmer Fudd is depicted in one of his most memorable roles from the Looney Tunes episode, "What's Opera, Doc?". The beloved Chuck Jones short features Elmer chasing Bugs Bunny through a parody of Wagner's operas, singing "Kill the Wabbit." 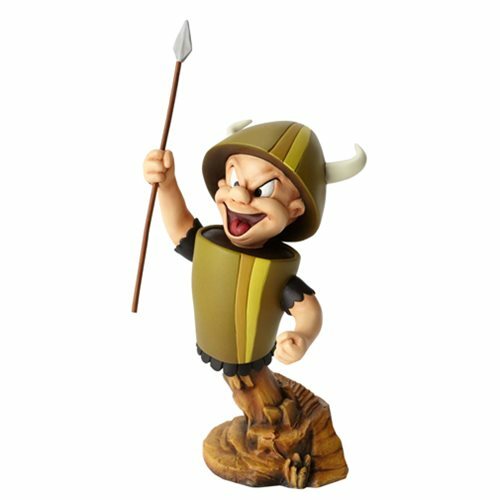 The Grand Jester Elmer Fudd Opera Mini-Bust stands 9 3/4-inches tall. Ages 13 and up.